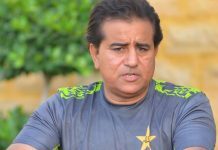 Pakistan’s former Test cricketer, Zakir Khan is likely to take charge of the Pakistan Super League (PSL) as the new Chairman, soon after the Chairman election for the PCB, ARY news reported on Friday. Zakir who is currently serving as the Director of International cricket operations in the PCB is a strong candidate to occupy the Chairmanship of the only cricketing league of Pakistan. According to the sources, the franchises’ owners have shown all-out support in favour of Zakir and declared him as the right option to run the PSL’s affairs. Zakir Khan also served as National team manager back in 2014. On the other hand, PCB is all set to appoint its Chairman on September 4 in a meeting of the Board of Governors (BOG). Former ICC president, Ahsan Mani is the hot favourite to swear-in as the new chairman of the PCB.